SAO PAULO (Reuters) -- Audi will decide next year whether to start producing vehicles in Brazil again, following rival BMW's plans for a new plant in the country and word that Japanese brands Acura and Infiniti are on the way. 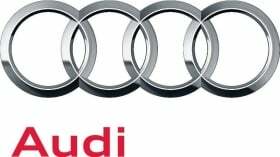 "We are in the project's initial phase, without anything defined," the head of Audi's Brazilian division, Leandro Radomile, said. The easiest option would be to adapt one of parent company Volkswagen's local assembly lines, Radomile said. From 2000 to 2006 Audi produced its A3 hatchback at a VW plant in the state of Parana. Brazil's government complicated automakers' plans this year with a drive to protect local jobs by increasing a tax on foreign-made cars and capping auto imports from Mexico, where Audi is building a new factory. Audi planned to sell some 5,700 cars in Brazil this year, but new regulations for the industry only allow it to import 4,800 vehicles without facing a 30 percentage-point tax increase. Still, Brazil's car market, the world's fourth-largest, continues to grow as European and U.S. sales have suffered, and the swelling ranks of Brazilian millionaires have drawn the attention of luxury car makers. Honda said in October it planned to sell its Acura brand in Brazil beginning in 2015. Nissan followed last month with news that local sales of its Infiniti brand would begin in 2014. "The rich are becoming richer in Brazil," General Motors Co's South American chief Jaime Ardila told reporters at the Sao Paulo auto show this year. "It's time to start thinking about bringing Cadillac to Brazil." In October, BMW said it planned to invest 200 million euros ($261 million) to build a factory in Brazil's southern state of Santa Catarina and begin producing 30,000 vehicles per year by the end of 2014. Volvo's Brazilian car division estimates that the Brazilian luxury car market will grow to between 120,000 and 130,000 vehicles in 2016 from around 50,000 vehicles this year.